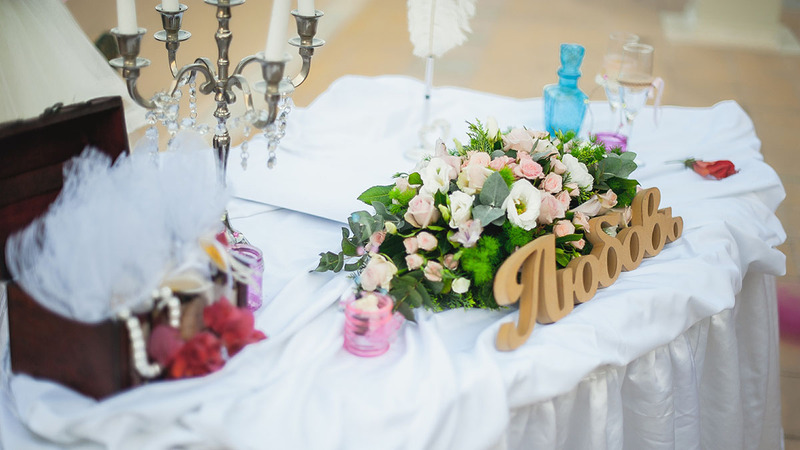 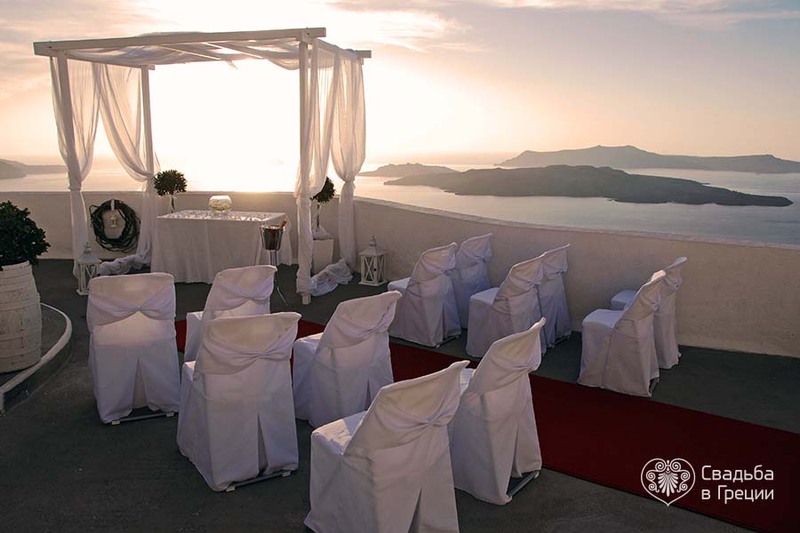 A symbolic wedding in Greece in the Villa Irini is one of the events that leave indelible marks in the hearts of the marrying couple and in the memory of their guests. 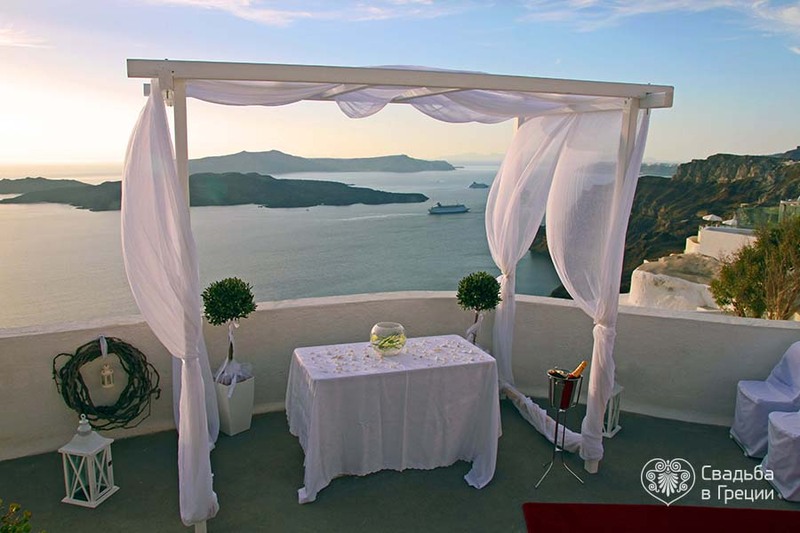 This location boasts privacy and seclusion. 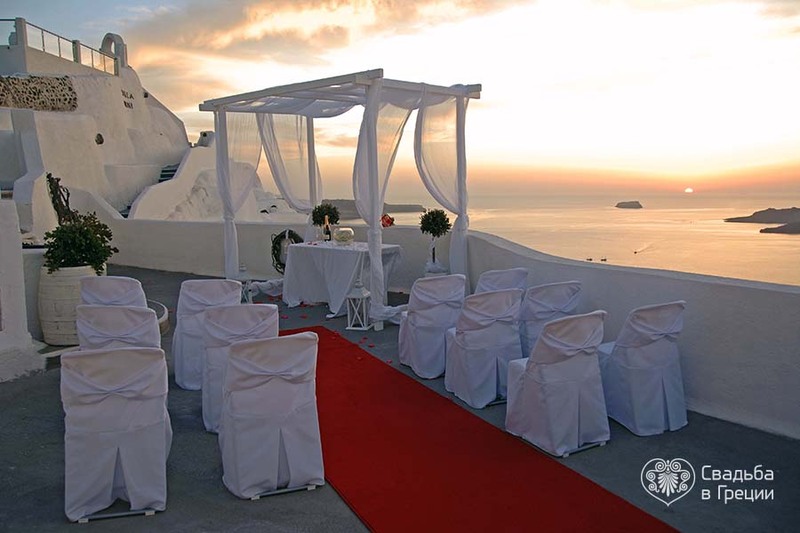 It is carried out in traditional classical style in one of the most romantic places of the island, in close proximity to the church of Agia Irini, patron saint of Santorini. 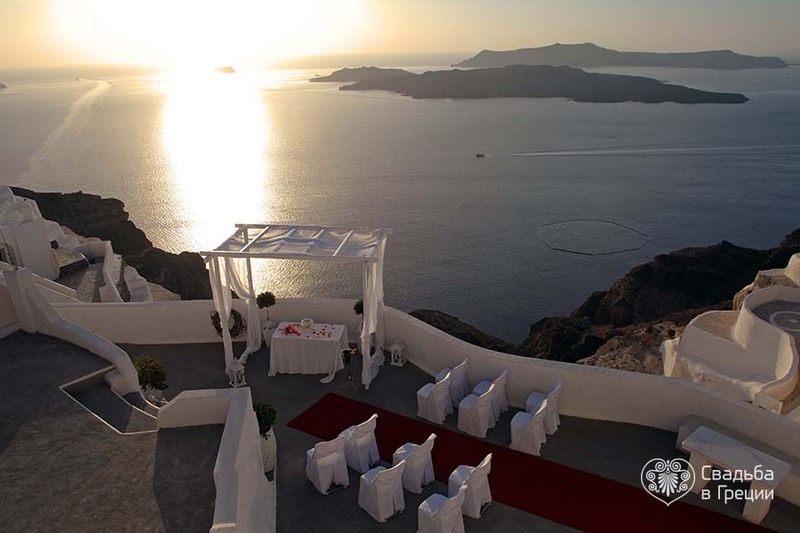 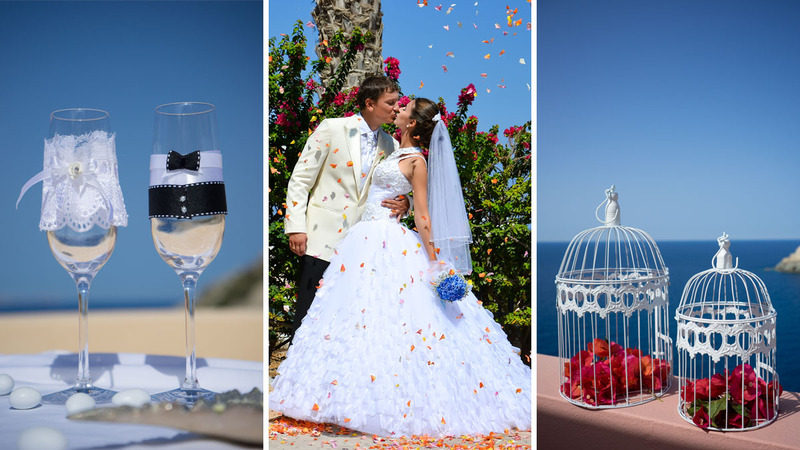 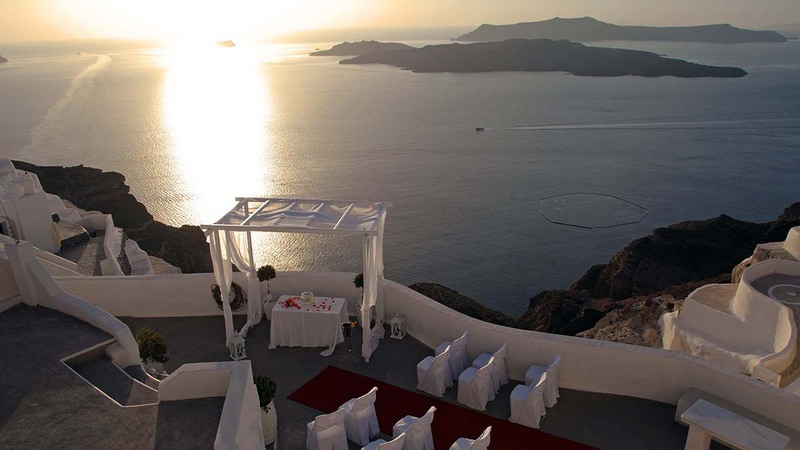 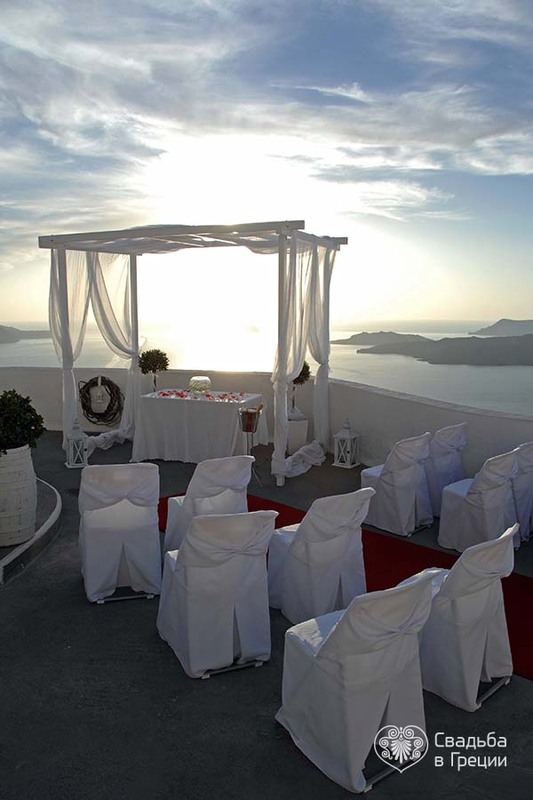 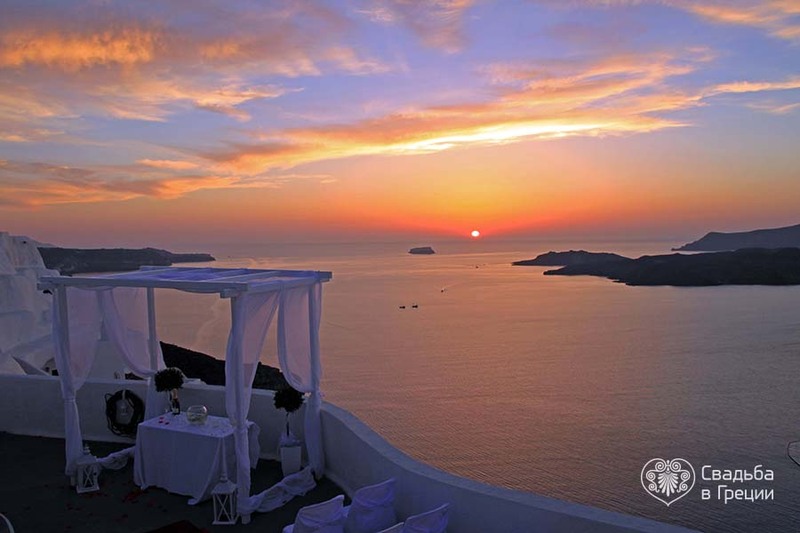 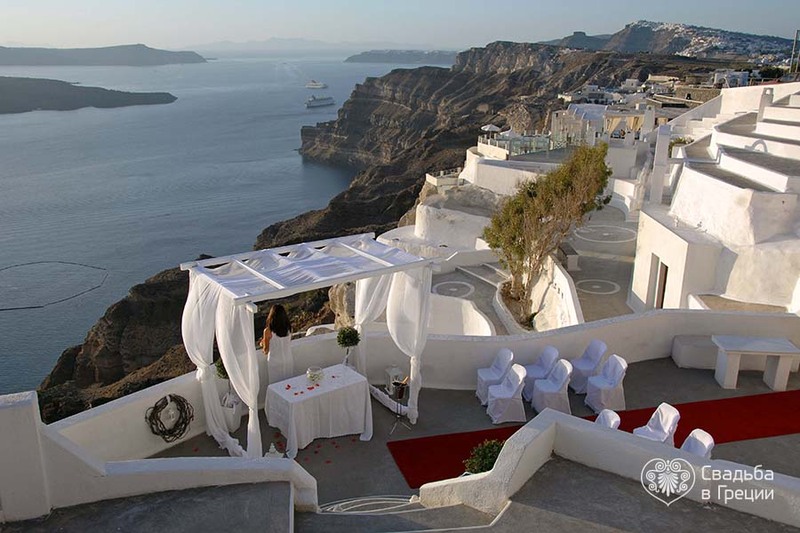 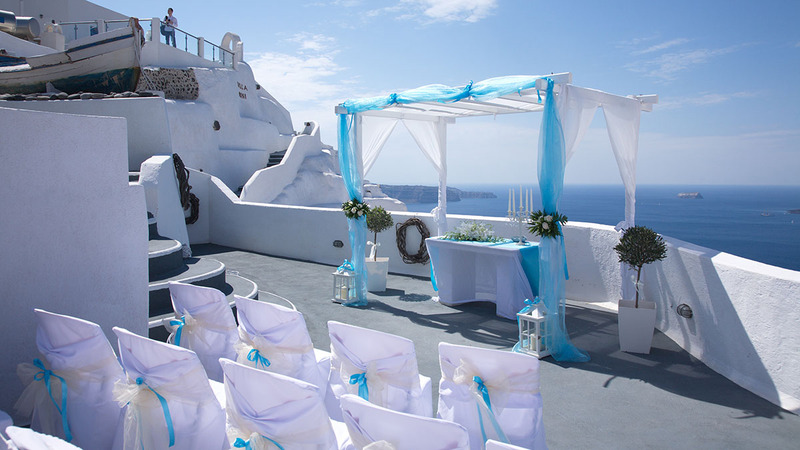 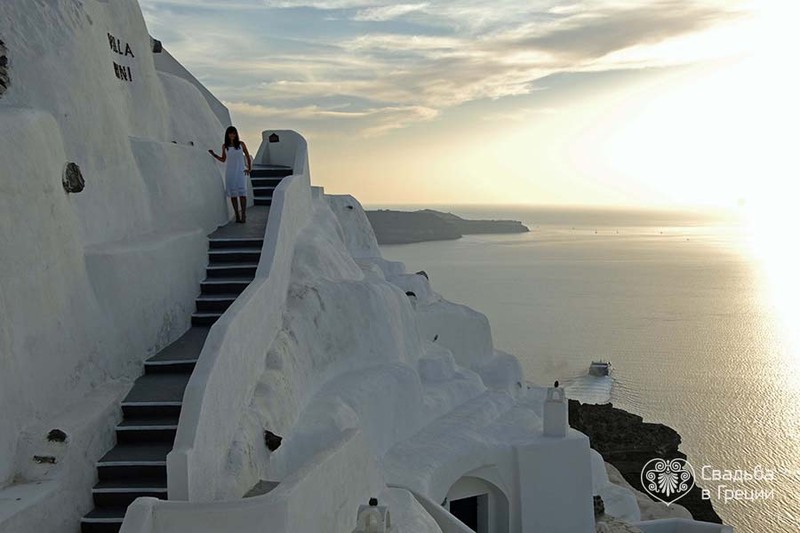 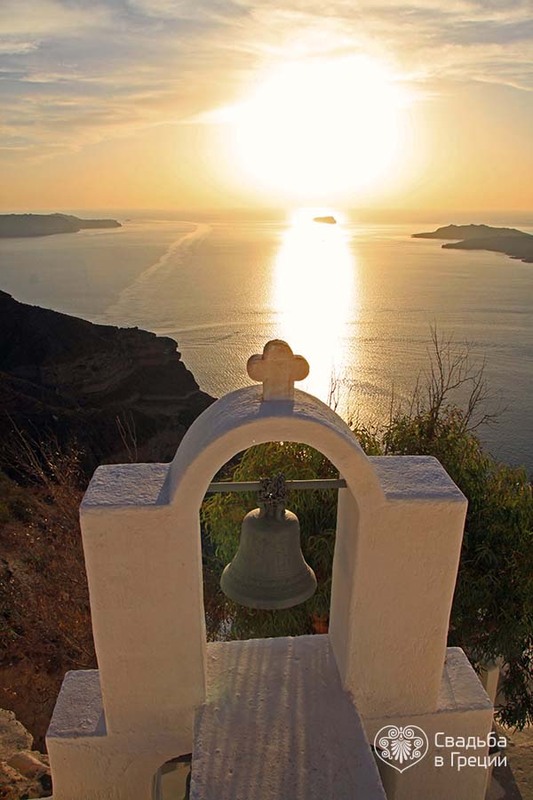 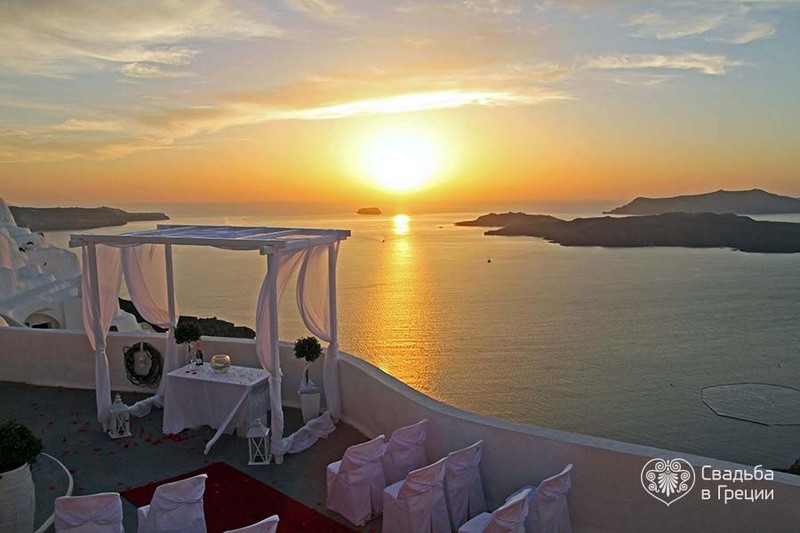 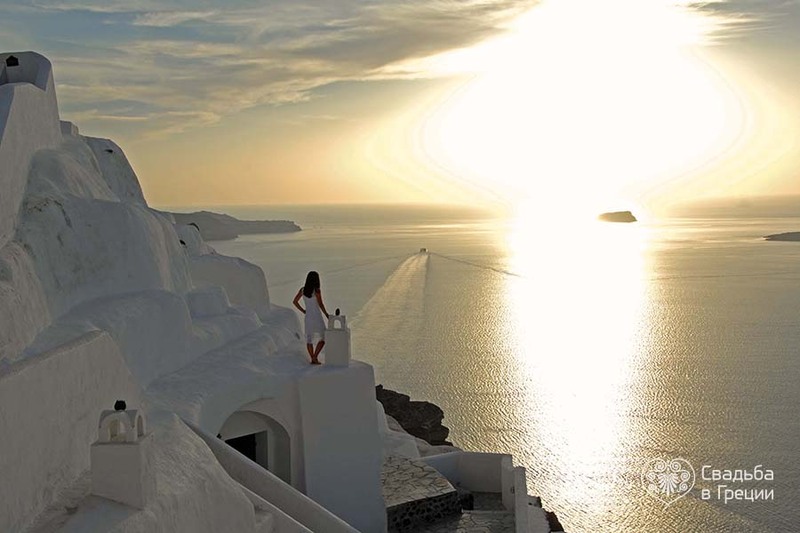 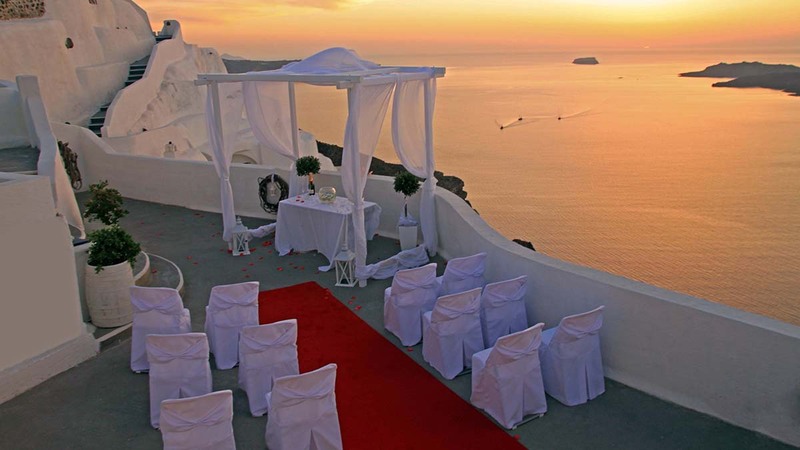 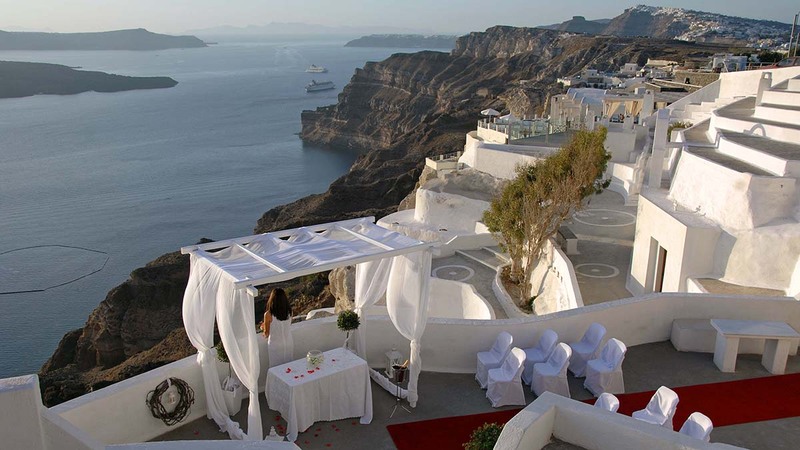 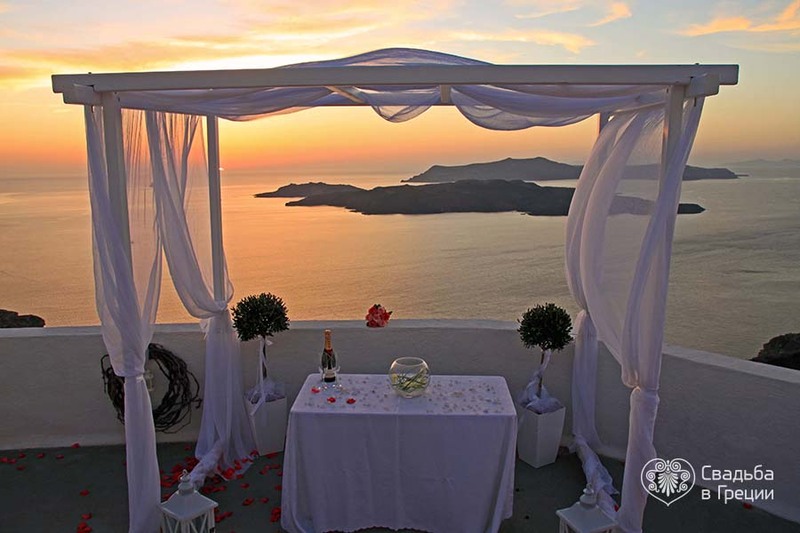 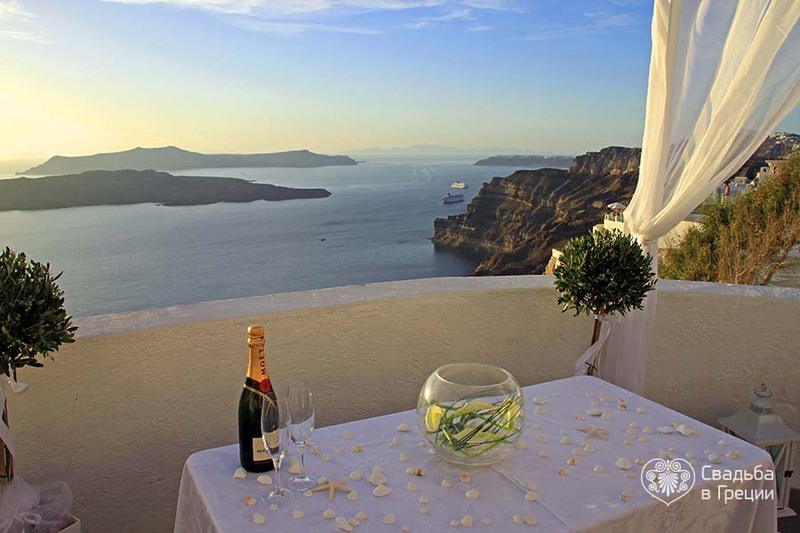 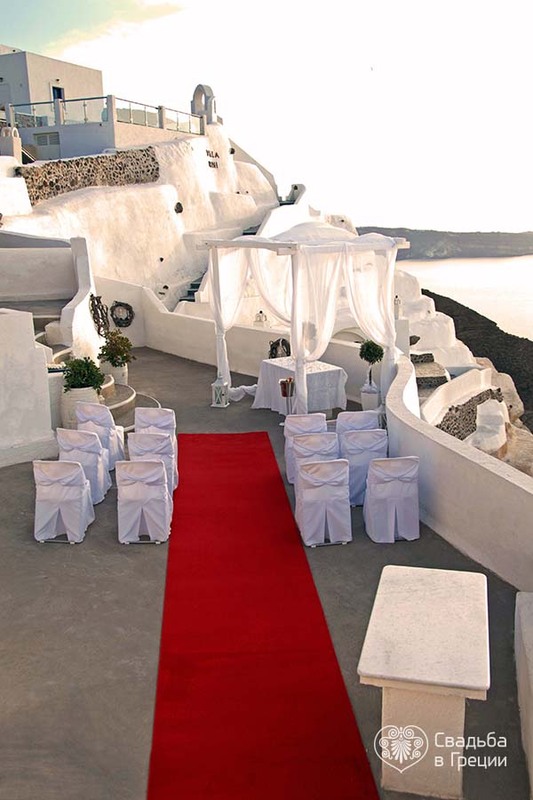 Choosing this venue for your wedding in Greece you will get a chance to enjoy the endless Aegean Sea and admire breathtaking views of the “sleeping” volcano and its saints will protect your family life. 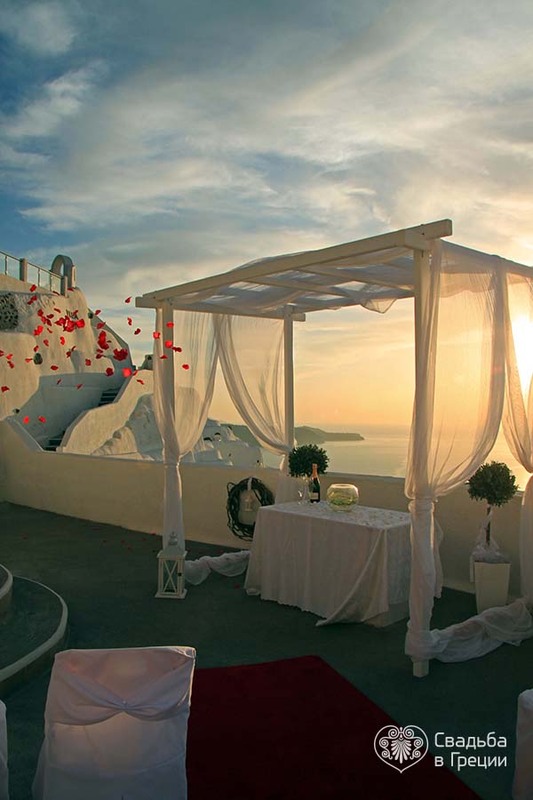 A spectacular setting, sounds of music pleasing to the ear and your eye full of love add zest to this special moment.